Now that AMD has revealed its first 7nm Ryzen 3rd Generation processors, what will the future look like for Threadripper 3rd Generation – its next line of HEDT processors? 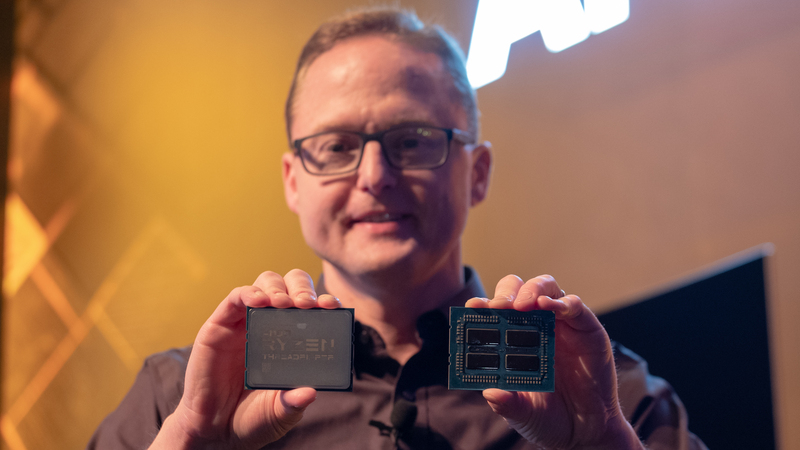 AMD’s new Zen 2 architecture was shown at CES 2019, with promises of dramatically improved performance and efficiency. 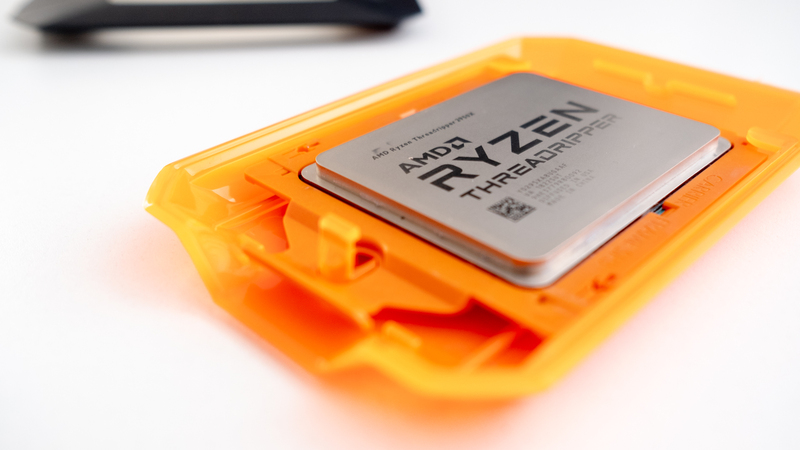 This is definitely exciting news for anyone looking to upgrade to a new Ryzen chip, but we’re here specifically about Threadripper 3rd Generation. So, make sure you keep this page bookmarked, and we’ll keep it updated with all the latest AMD Ryzen Threadripper 3rd Generation news and rumors. AMD hasn’t come out and announced the release date for the next Threadripper chips, but the last two generations have had pretty consistent release dates, so we have a solid basis for speculation. 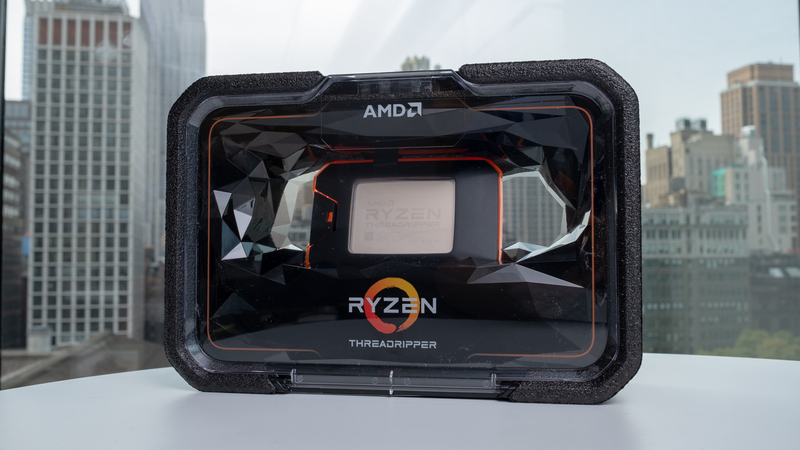 Both the original Threadripper and Threadripper 2nd Generation launched in August of 2017 and 2018, respectively. We’re fairly sure that AMD is going to follow the same general release schedule this time around, but, obviously we don’t know that for sure. The Zen 2 architecture will launch in mid 2019, likely in Q2 or Q3, in the form of consumer-focused Ryzen chips. Right now, the rumors are pointing to a July release date for the consumer-focused Ryzen 3rd Generation chips. In fact, AMD CEO Lisa Su has hinted that she would “provide new details about the next generation of high-performance AMD platforms and products” at Computex 2019. We’re not sure that includes Threadripper 3rd Generation chips, as AMD’s HEDT chips typically release after the consumer focused chips. However, if Threadripper is a no-show at Computex, you can put your money on an IFA 2019 appearance. We’ll update this article as soon as we hear more substantial rumors about the release date. Now, so far ahead of AMD Ryzen Threadripper 3rd Generation’s launch, we don’t have any official pricing information, but we can look at past generations to get an idea of what AMD’s next HEDT chips will cost. The original lineup of Threadripper topped out with the $999 (£999, AU$1,439) AMD Ryzen Threadripper 1950X, but the second generation introduced surprisingly lower priced replacements. There were also two higher specced – and higher priced – additions. We believe Threadripper 3rd Generation will follow the latter model. AMD could very well surprise us and introduce an even higher-end SKU, but we don’t think that’s likely. Stay tuned, and we’ll update this page as soon as we hear any Threadripper 3rd Generation price information. We’re sure that with the move to 7nm, AMD is going to massively improve specs. But, with Threadripper 3rd Generation, or Castle Peak, rumors are thin on the ground. However, there is plenty of buzz about the AMD Ryzen 3000 series, not to mention the 64-core AMD Epyc server CPU. While we’ve seen speculation that suggests that the AMD Ryzen 9 3850X will have 16-cores and 32-threads with a max clock of 5.1GHz, that hasn’t been confirmed. What we do know officially is Ryzen 3rd Generation will include at least an 8-Core Ryzen processor that matches the Intel Core i9-9900K’s Cinebench score. AMD also showed off the system power in its test, the whole system ran at just 130W during the Cinebench run, compared to the Intel system’s 180W. We don’t know what frequency this chip was running at, but this high performance combined with the high efficiency is promising for whatever Threadripper chips come from Zen 2. What’s more, the chip AMD showed off revealed that 8-core chiplets are smaller than the IO die. What this means for Threadripper is many more cores in the same amount of space. It’s possible that we could see a 64-core Threadripper chip in 2019. It wouldn’t even be the first 64-core processor in AMD’s lineup. Team Red recently showed off its latest Epyc processors, based off its Rome microarchitecture, with up to 64-cores. If AMD is able to bring those high core counts to Castle Peak HEDT processors, we could see AMD absolutely dominate Intel’s Basin Falls Refresh – and potentially the Cascade Lake-X family that’s rumored to follow it. And, if Intel can’t answer with anything but 14nm silicon, AMD might claim the HEDT throne just as it toppled Intel’s mainstream sales.